There is nothing more beautiful than a cherished woman’s skin. If you want your skin to be timeless as the rarest metal on the world, then you should give it some TLC (therapeutic lifestyle changes), exclusively with La Prairie cosmetic products. Lifting and firming of your skin is guaranteed if you opted for La Prairie Platinum Collection, which consists of the most skin-transforming anti-aging treatment product. The pure, rare, eternal, and one of the world’s most precious metals – Platinum in this collection maintains an unparalleled buffer zone of moisture and protection and enhances the skin’s receptivity to nutrients. Colloidal platinum gives the skin a renewed and exciting balance to insure ageless performance. All this while the new technology and the exclusive cellular complex of La Prairie complex mega-work activities to the skin visibly revive and re strong and resilient it. This is pure science at its best, offering unparalleled benefits. Quite simply, the skin is transformed to look, feel and move like younger skin. If there’s someone on your holiday list who’s serious about skin care, this according to many the best skin-transforming and anti-aging treatment product of the last 10 years is ideal gift. 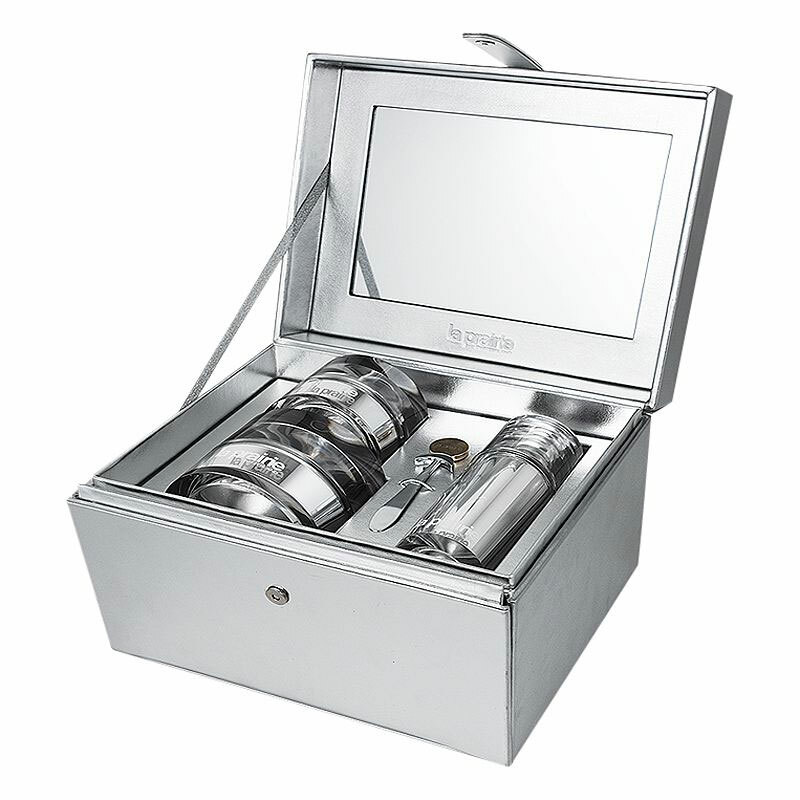 Presented in a beautiful silver jewelry box, La Prairie Platinum Collection is available for £906 ($1,460) at John Lewis or at the Urban Retreat Beautique.